Today is the start of two special events on The Weekend Gourmet! Over the next four weeks, I’m going to be celebrating my home state by featuring a bunch of fun posts spotlighting Texas travel and Texas-made food products. I’m kicking off this month of special posts with Spicy Foods Week. 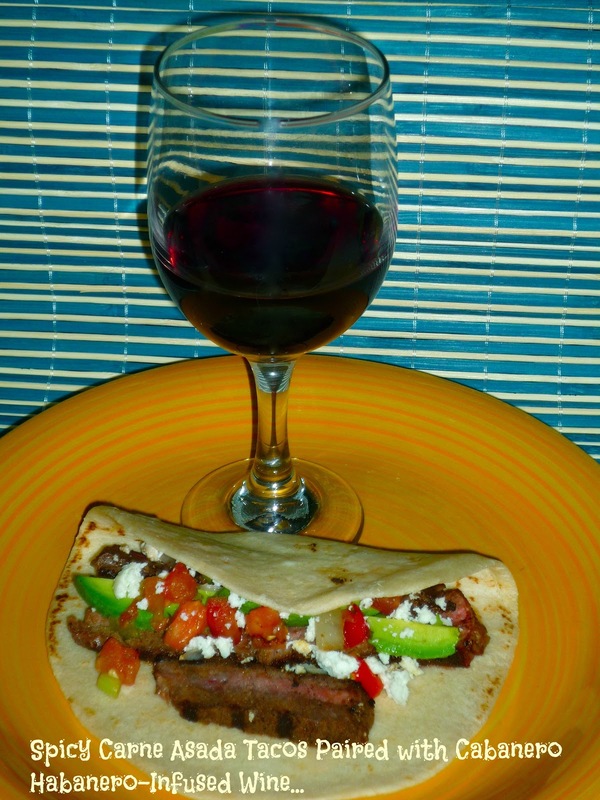 This week, I’ll be featuring recipes…and a wine…that offer a bold kick! To kick things off, I’m excited to share my first-ever wine review! 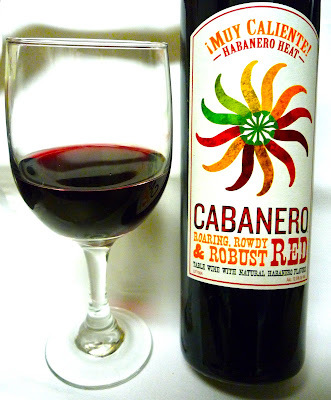 Recently, the makers of Cabanero Roaring, Rowdy & Robust Red sent me a bottle of their new habanero-infused red wine to try. Until now, spicy food lovers didn’t have a specific wine to enjoy with their favorite spicy foods. The general consensus has been to pair fiery foods with a sweeter white wine, which was intended to cool the heat of the food. However, those of us who like to walk on the spicy side wondered if there was a wine that would perfectly compliment or intensify the spiciness of the food we enjoy. Cabanero to the rescue! Cabanero Roaring, Rowdy & Robust Red is a red wine for spicy food lovers who are seeking an intensified spicy sensation! They’re introducing the world’s first red wine that keeps the fiery flavor going. Step 1: Make a spice rub by combining the following ingredients in a small bowl: 2 tbs. chili powder, 4 tsp. garlic salt, 2.5 tsp. onion powder, 2 tsp. ground cumin, 1.5 tsp crushed Mexican oregano, and 3/4 tsp. cayenne pepper. Stir to combine and set aside. Step 2: Generously rub the spice mixture on both sides of 2-3 well-trimmed 1-inch rib-eye steaks. Set aside while you heat your grill or indoor grill pan. To use an indoor grill pan, brush it with olive oil and heat over med-high heat for about 5 minutes, until hot. Grill the steaks for 5 minutes on each side for medium steaks. Only flip the steaks once to allow them to seal and leave nice grill marks. Step 3: Place the steaks on a plate and cover with foil. Let sit for 5 minutes before carving; this allows the juices to redistribute and ensures juicy meat! Carve into slices and drizzle with lime juice to taste. Serve with tortillas, if desired. I made our carne asada into tacos by adding pico de gallo, sour cream, avocado slices, and Mexican queso fresca. These tacos were amazing...when paired with the spicy steak, the Cabanero really shined! When enjoyed with the asada, the wine tasted sweeter with notes of currant…then the heat of the wine amplified in the back of my throat and perfectly complimented the spice rub on the steak. The pairing was really fun! The heat wasn’t overpowering at all…it was a gentle slow burn that Michael and I both agreed was spot on. The spice rub for the carne asada is easy to whip up from spices you likely already have on hand in your kitchen. From start to finish, this dinner was on the table in a little over 30 minutes. I can’t wait to try Cabanero with my other favorite spicy foods like jambalaya and gumbo. My Texas-based readers can find Cabanero in the wine department of their local HEB. Each bottle retails for approximately $11, making it an affordable option for spicy food lovers who enjoy a nice glass of wine! Disclosure: Cabanero sent me a complimentary bottle of their wine for review purposes to facilitate this article. All opinions expressed are my own.